The earth works are well underway. 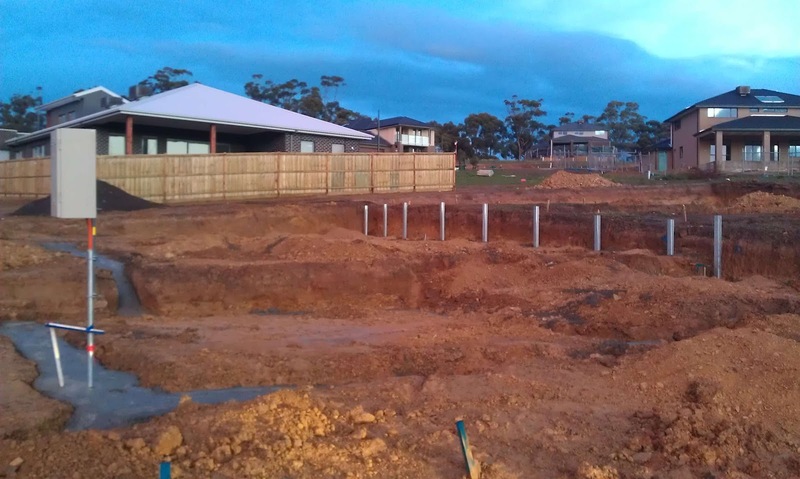 The last week in Melbourne had some unfriendly weather come our way, but the guys at BH Developments haven't let that stop them. Needless to say all the family is very excited. The number 1 request at the household is "Can we go look at the site?" (and not just from the kids!). We got there early on the first day to have a bit of a look. 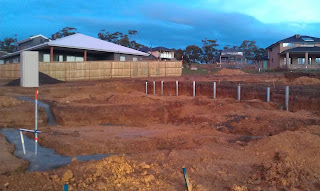 and the initial foundations have been poured and the retaining wall is just about ready to go.